Lewis Mazzochi who was convicted of drug and burglary charges recently extended his stay in the "Big House" to 10 years by attempting to cheat on his drug test. Mazzochi used a "Whizzanator" type device to provide an alternative urine sample on his drug test. He was caught by a probation officer who had been observing through a bathroom ceiling mirror. 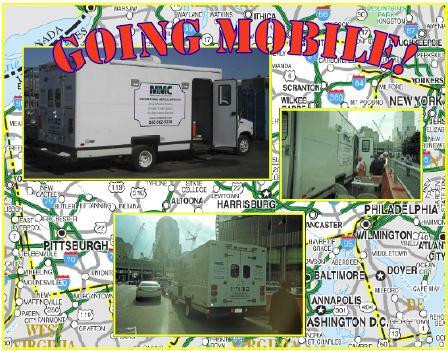 Mobile Medical Corporation (MMC), a Pittsburgh Drug Testing firm continually monitors the news outlets for incidents of drug test cheating in order to provide further information on the topic. Mobile Medical Corporation (MMC) can help you with all of your substance abuse testing needs and our technicians and collectors are trained to spot cheaters! MMC works closely with all clients to establish affordable and focused drug testing protocols that comply with both the Department of Transportation (DOT) and Non-Federal testing programs. GREETINGS FROM PITTSBURGH, BALTIMORE, NEW YORK CITY AND PHILADELPHIA! MMC President & CEO - Cynthia Latsko to Interview for Ernst & Young's Entrepreneur Of The Year Awards! On April 7 at 9:30 a.m. Ernst & Young will be on-site at MMC Pittsburgh to interview MMC President and CEO, Cindy Latsko for their Entrepreneur Of The Year awards! Congratulations and Good Luck Cindy! The Ernst & Young Entrepreneur Of The Year (EOY) program is the world's most prestigious business award for entrepreneurs. Founded in 1986, this year-long program is the only global business recognition program held on 6 continents, in more than 50 countries and in over 135 cities. Entrepreneur Of The Year honors entrepreneurs whose vision, courage and achievements have sustained successful, growing business ventures. There are 26 regional programs within the United States. Each program has 5-8 categories with one award recipient per category. Each of those regional winners is automatically entered into the National EOY Program and inducted into the EOY Hall of Fame. The National awards banquet takes place November 9-13, 2011 in Palm Springs, CA. One overall winner is then selected to compete in the World competition which takes place in Monte Carlo in May 2012. Come visit Mobile Medical Corporation (MMC) at MASHA - Western Pennsylvania's Premier Occupational Safety and Health Conference. Pittsburgh based Mobile Medical Corporation (MMC) is a certified Woman Business Enterprise that provides solution based substance abuse testing and on-site first-aid and medical services for the construction industry. Our service features administering multi-employer projects for facility owners, contractors, and Owner Controlled Insurance programs (OCIP and CCIP) nationwide. MMC has set the standard when it comes to On-Site Medical Facilities management. MMC’s on-site medical stations allow our clients to maximize both health and safety standards on their job sites, while substantially reducing compensation costs and employee’s time away from work. MMC plays an integral role in construction projects and has proven to be invaluable to our client’s Health and Safety Risk Management teams. MMC's corporate headquarters is in Pittsburgh, PA with regional offices in Cleveland, OH; Baltimore, MD; Astoria, NY; Paramus, NJ and Sacramento, CA.